Diversity in STEM and the Silicon Valley is a hot topic these days. Top companies released the ethnic breakdown of their employees and the results left room for a ton of improvement, especially in a state that’s demographics are becoming more and more diverse overall. That need to change the face of STEM is MESA’s key tenant. We give historically underserved students the tool they need to excel in STEM education and STEM fields. And nothing highlights the success of MESA undergraduate students more than the Student Leadership Conference (SLC). Each year the conference brings more than 200 hand-picked engineering and computer science students together with industry professionals to develop the next generation of diverse STEM leaders. These MESA leaders are the new face of STEM. MESA contributes to an increasingly diverse STEM workforce by serving a more equitable percentage of female students each year. While at some top tech companies as little as 24 percent of employees are women, 43 percent of MESA students are female. Additionally, 73 percent of MESA students are from historically underrepresented ethnic groups. This is the diverse and accomplished talent pool tech companies need for future employers. The conference is fully funded by industry. This year’s sponsors and partners include Edison International, SDG&E, AT&T, PG&E, Intel, CHC Consulting, Tesla, Applied Materials, Jabil, So Cal Gas, NASA and LinkedIn. The two-day event bridges from college to career, empowering students with the soft skills and emotional intelligence they need to be the best employee candidates possible. 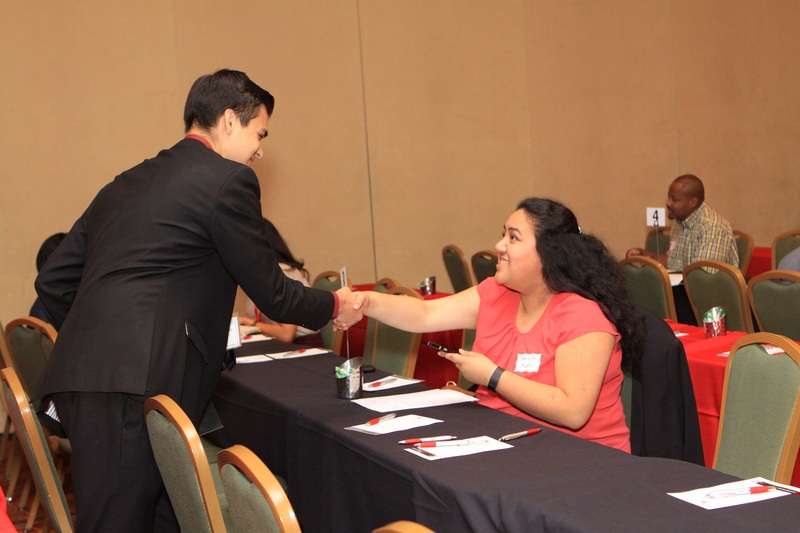 Interaction with industry prepares and inspires students them to effectively lead within their MESA groups, their families and their communities. Key events include an alumni and industry VIP reception, an “elevator pitch” video competition and mock interviews for every student. NASA astronaut and MESA alum Commander Victor Glover will be a keynote speaker and is the 2016 MESA Outstanding Alum. The invite-only conference is October 14-15 at the Santa Clara Marriott.